All style on the Western front. 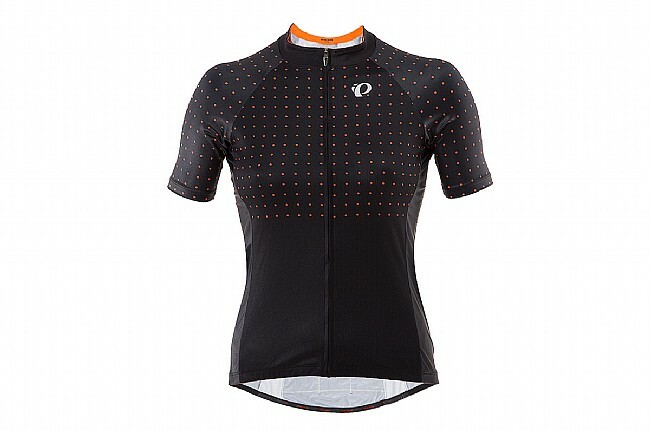 Drop jaws and drop riders in the inimitable style of Western Bikeworks with this custom Pearl Izumi LTD Short Sleeve Jersey. A blend of ELITE Transfer and P.R.O. 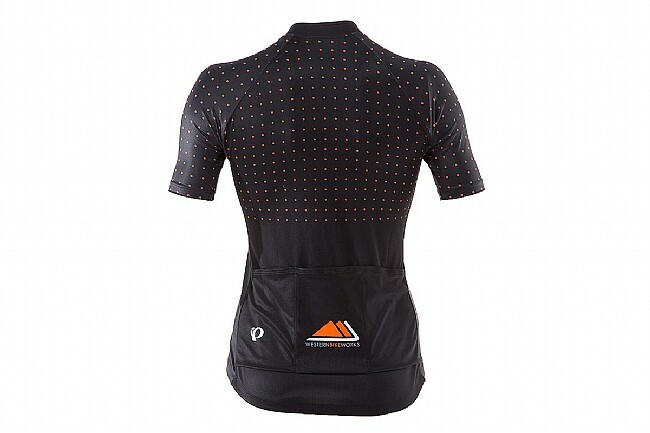 Transfer fabrics provide excellent ventilation and temperature regulation despite the black styling with minimalist orange dots. This is thanks to a coldblack® treatment that reflects heat so you stay cool. The raglan sleeve construction looks svelte as all get out, and your standard 3 back pockets keep all the goods you need to race or ride with the best of them. Full length zip. Silicone gripper hem. Form fit.